Watering is the key to creating a healthy and lush garden. However, the question is how to distribute the moisture effectively. If you are still using an ordinary sprinkler system, there is a better way. 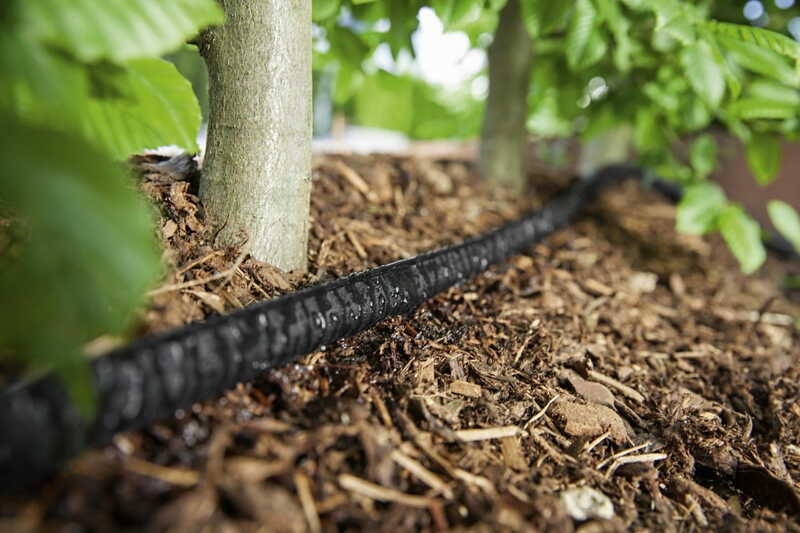 Soaker hoses provide even and deep irrigation right to the roots of the plants. Since choosing the right method of irrigation is truly important, we will show you everything you need to know about keeping your garden irrigated correctly with a best soaker hose- the favorite tool for root level irrigation. A soaker hose, often made from recycled tires, is a hose which has been pierced with small holes throughout its entire length. These holes permit water to dribble straight down onto the plant roots because it’s placed on the ground near the base of the plants. Moreover, the soaker hose uses much less water while delivering it more effectively than regular hoses and sprinklers. 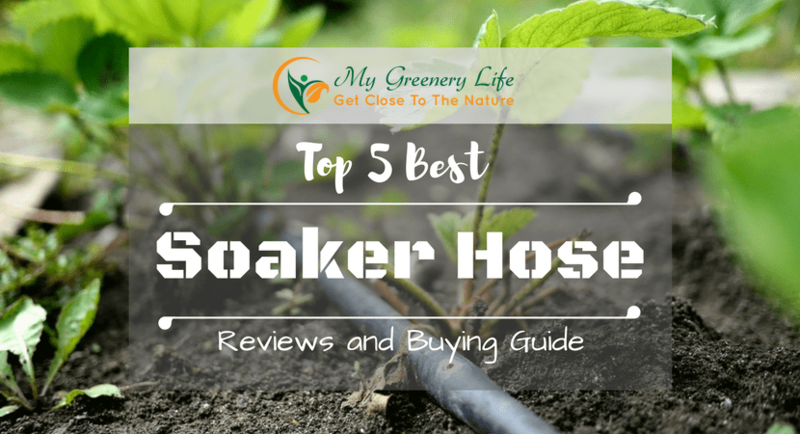 In this article, we have included the best soaker hose reviews 2019 and a couple of ways to choose the best hose so that you can grow a healthy garden in the shortest possible time. If this is your first time of using a soaker hose, we’re sure you will face a common problem when this tool doesn’t deliver the water evenly. Sometimes, you may find some patches that are dry while others are too wet. 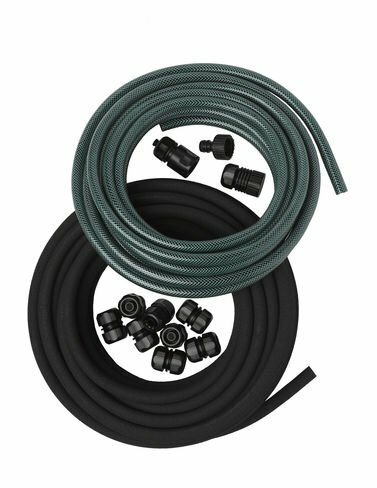 Before buying one for your garden, please pay attention to some important considerations below so that you can pick one of the best soaker hoses to fit your budget and suit your demands. Choosing the right length of hose to be able to reach everything in your garden is vital. From the large shrubs to the narrow rows of seedlings, the soaker hose length should be enough that no area will be missed. The best thing is to purchase some additional lengths, particularly if the hoses are going to be installed where there are some turns or twists. Soaker hoses do not only come in different lengths, but also come in flat or round shapes, so when looking for one, make sure that you consider which one you prefer. If you need a hose that looks beautiful and matches the style of your formal garden, the flat soaker will be a great choice since they don’t inflate as much as the circular ones. In case you’re not overly concerned about how it looks, then the regular circular hose will be great because it’s more durable and can endure higher water pressure. 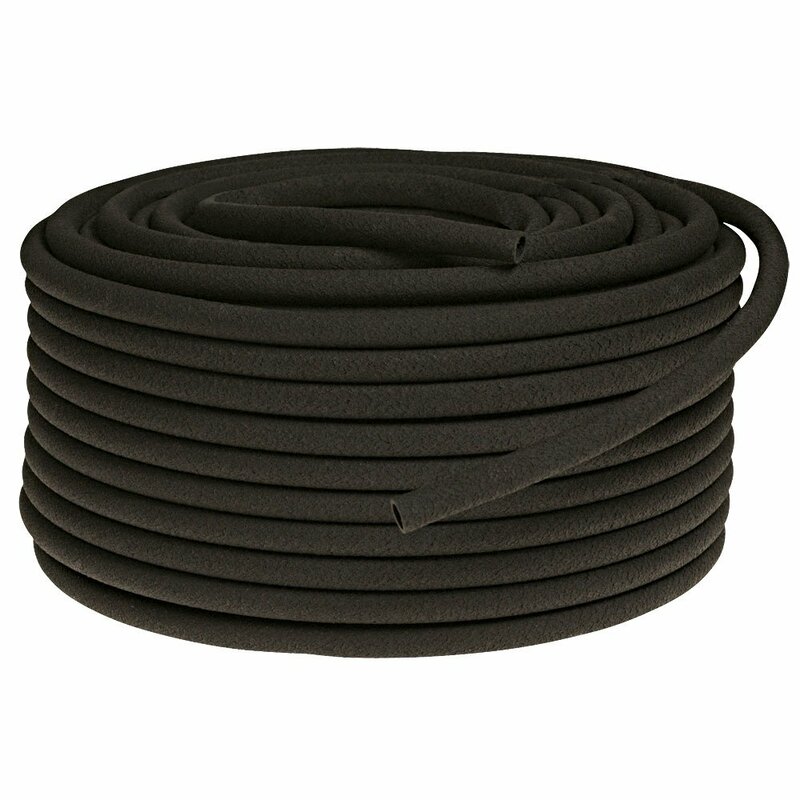 Although most soaker hoses are made from recycled tires, some are made from fabric. If you want a long-lasting hose, then selecting the one made from recycled tires is a better option. It will be able to withstand the effects of soil, mud, water and bad weather. What’s more, the hose will be strong enough yet flexible for bending where needed. The best soaker hose often works well at a water pressure of about 20-30 psi. If exposed to high water pressure, some hoses can explode and flood the soil. Therefore, you should examine what pressure rating the soaker hose can endure to prevent it from breaking and flooding the garden. The best thing to do to keep the hose working accurately is to use a regulator with a standard hose with a water pressure of 45 psi. Now, let’s move on to our soaker hose reviews and find out which one truly stands out in terms of functionality and quality. Look at the table below to get a general overview first. Here are top 5 best-rated soaker hose reviews for 2019. Let's check it out! Let’s start our tour of the best soaker hose reviews with the Osmile Professional Soaker Hose 1” x 100 ft. It comes with an incredible 1-inch outer diameter and a 0.21-inch thickness, making it stand out from its counterparts. Since it has an ideal thickness, it will water large areas in the garden more evenly. As one of the best soaker hoses, it converts the water pressure to low, slowly watering the plants at the root zone where needed, without wasting any to evaporation or runoff. Feel free to use the Osmile Professional soaker hose above or below the ground as you wish. Make sure to cover it with a layer of mulch if using it above the ground or bury it about 2 – 6 inches below the ground. Don’t worry if the hose gets damaged from being frozen because it is made from 80% recycled materials. 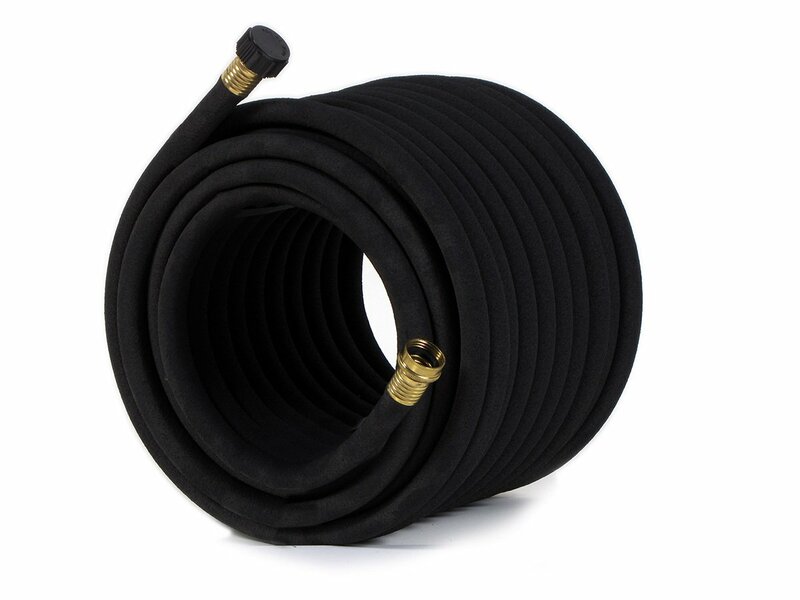 As the name suggests, the Osmile Professional Series soaker hose is 100 feet long, and you will be able to add extra hoses to extend it according to your needs. It’s known as one of the best soaker hoses on the market due to its durability. The type of material (recycled tire rubber) and its flawless construction (round type) give it a long life and make it stand out above other brands. The ¾-inch diameter and solid brass fittings help to seal its position. This soaker hose can emit about 1 gallon of water per foot, at 30 psi, ensuring even watering without damaging your delicate plants. In addition, it’s flexible enough to be bent when it needs to be adapted to the shape of the beds. Last but not least, make sure that you stretch the hose out in the sun for a few hours before threading it through the garden since it’s quite stiff and hard to handle when it’s cold. This helps to reduce the water waste and save your time on watering. Like other products in this “best soaker hose reviews” post, the Gardener’s Supply Snip-n-Drip hose has everything you need, including fifty feet of 1/2” diameter soaker hose, one twenty-five foot length of 1/2” garden hose, one end cap, one faucet adapter, one quick-connect coupler, and eight hose couplers. All are in one set ready for installation. It’s not difficult to set up and connect both the garden and soaker hoses. Just lay them in the sun for a short time to warm up and soften before installing. This will make them flexible and easier to work with. Best of all, you won’t need any special tools to set the system up. Just cut the hose with scissors, assemble it with the connectors and use. The best soaker hoses consume up to 80% less water than ordinary sprinklers, providing a highly effective means of watering. When testing this system, you may notice that the Gardener’s Supply Snip-n-Drip doesn’t include a water pressure regulator. This means that you may have difficulties unless you keep the pressure under 10 psi. Above this, the hose may develop unexpected leaks and splits. This is the one negative aspect of this product. 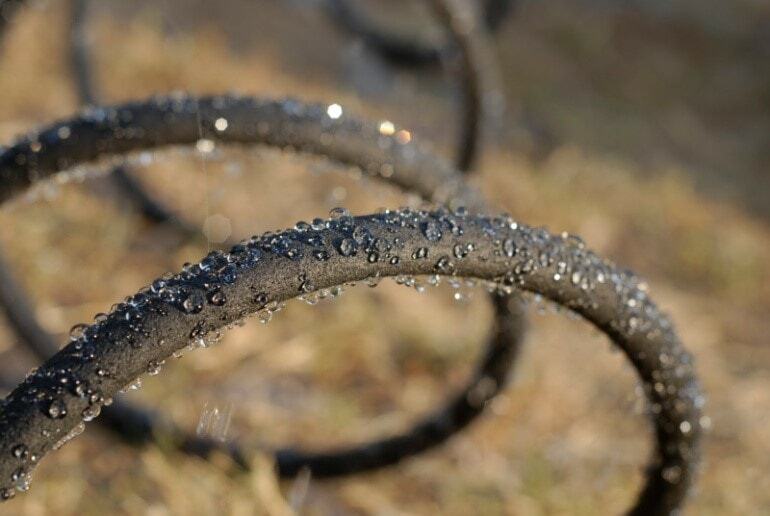 A high-grade soaker hose that can withstand different environmental conditions. 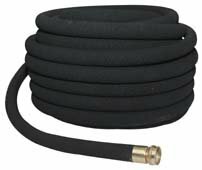 Another soaker hose that you should consider if you want to own the best one for your garden is the Professional Soaker Hose from Lawson. It’s made from premium rubber material, measures 50 feet, and has an inside diameter of 5/8 inch. This best soaker hose is known to be the lightweight one in its class. So, it’s easy and convenient for you to move to other areas of your garden if you need to. This product can irrigate a mile in length, even with regular pressure. Additionally, the extra thick walls help to lessen shower soaking for the more suitable form of drip watering. What’s more, the thicker walls increase the hose’s durability as well as limiting the ability of breakdown. 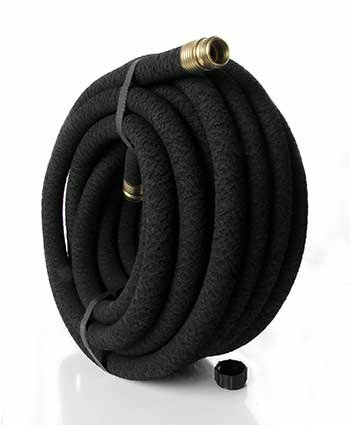 So, it deserves to have a slot in this “best soaker hose reviews” post. The last product in our list of the best soaker hose reviews is the Pro Series 5/8-inch from A.M. Leonard. It measures an extraordinary 250 feet in length that would be ideal for those who have a large garden or lawn. Moreover, it’s uncoupled and doesn’t have any ends, allowing you to cut it to any length you want. It has a 5/8-inch outside diameter together with a ½-inch inside diameter, making this hose perform up to 600’ runs. Besides this, it’s made of rubber, giving you assurance of its durability. Although all the best soaker hoses won’t freeze, you should either cover them with mulch or bury them about 2 – 6 inches deep for the longest life expectation. Since you’ve just completed the first important step of picking out the best soaker hose, it’s time to learn how to install it. First, you need to lay the hose on the ground in a straight or curved line throughout the particular area without hiding it. In case you need to install many hoses, set them at least 18 inches apart from one another in such a way that every plant will be able to receive the same amount of water. Then use landscape pins to attach it to the ground in order to prevent the hose from twisting. After that, use mulch to cover the soaker hoses completely as well as to keep the soil moisture in for longer. Regulate the watering time for the best results. Thorough soaking will not only provide sufficient water, but will also save water in the long run. Finally, make sure there are no dry spots left after the first watering. If any are recognized, you will need to adjust the system to cover these areas completely. After checking all the best soaker hose reviews above, we truly can recommend any of them since they all come with high-quality features as well as good performance in terms of successful watering. However, if you want to get the name that stands out above the rest, we recommend the Osmile Professional Series Soaker Hose. As its name suggests, it’s a professional grade system in a higher class than the others. You’re guaranteed of its great durability. In case it does for some reason let you down, don’t worry because you can rely on its lifetime warranty.